GRAFENWOEHR, Germany -- Severe weather in Europe is just around the corner. Its impact will cause extensive damage due to flooding, strong winds with downed trees, roof damage (flying tiles! ), hail and lightning. 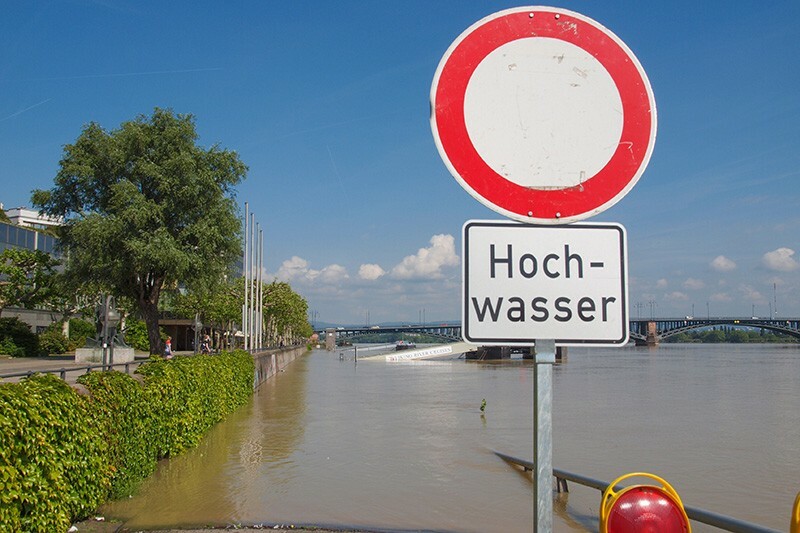 Once again, it won't be uncommon for German communities to see 100-year flood returns in a matter of hours. In 2018, many storms produced so much water -- often in less than an hour -- that drainage and sewer systems were unable to cope with the water quick enough. This resulted in low area flooding of basements, streets and buildings. Overall financial losses from the 2018 storms came to €1.6 billion, according to Munich Re, one of the world's leading providers of insurance. Spanish and Greek islands have also seen historic flooding. St Mark's Square in Italy, the renowned site of Venice, floods more than 60 times a year. At one point in time is was around four times a year. DON'T BE A STATISTIC. PREPARE NOW. - Sign up for AtHoc, our community's mass warning and notification system. If flash flooding is a risk in your location, then monitor potential signs, such as heavy rain. - Learn and practice evacuation routes, shelter plans and flash flood response. - Find out the critical high-water mark for your residential area from your local authority. You can find information on the latest flood levels on the internet at www.hochwasserzentralen.de. - Gather supplies in case you have to leave immediately, or if services are cut off. Keep in mind each person's specific needs, including medication. Don't forget the needs of pets. Obtain extra batteries and charging devices for phones and other critical equipment. - Keep important documents in a waterproof container. Create password-protected digital copies. - Once you are in a safe place, report to your command if you are military or government civilian personnel or a member of the selective reserves. - Listen to authorities for information and instructions. Return home only when authorities say it is safe. - Avoid driving, except in emergencies. Be aware of the risk of electrocution. Do not touch electrical equipment if it is wet or if you are standing in water. If it is safe to do so, turn off the electricity to prevent electric shock. - Avoid wading in floodwater, which can contain dangerous debris and be contaminated.